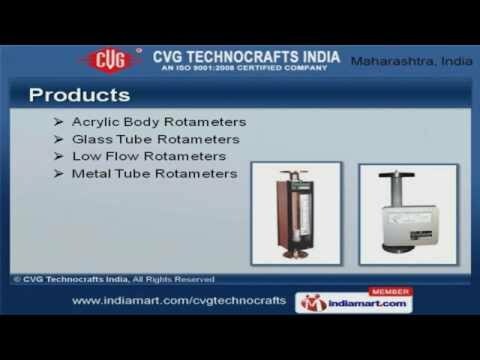 Welcome to CVG Technocrafts India, Manufacturer and Exporter of Measuring Instruments. We are an ISO 9001:2008 certified company, incepted in 2000 at Mumbai. Our products are applicable in Sugar Factory, Chemical industry and other areas. Gail India Limited and India Glycols Limited are some of our elite clients and we are backed by Corrosion & abrasion resistance. We offer a wide array of Acrylic Body, Glass Tube and Low Flow Rotameters. Our By Pass Rotameters and Single Limb Manometers are best in the industry amongst others. We offer Inclined Tube Manometers and Level Indicators that are acknowledged for their functionality. Tank Level and Magnetic Level Indicators offered by us are in huge demand across the global markets. Along with that we offer Reflex Level and Flow Indicators that are nothing but the best solution for all your needs. We also provide Pressure and Temperature Gauges that are some of our best selling products.